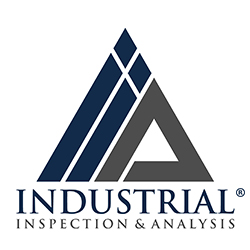 Industrial Inspection & Analysis, Inc.™ (IIA) is a national-level, high growth inspection, testing, and analytical business serving a breadth of industrial sectors and geographies. Since 2015, IIA has grown to a global company with approximately 300 employees and 19 offices through 12 acquisitions and integrations. NDT Laboratories provides a full range of non-destructive testing services. Acquired October, 2015. Infinium NDE addresses the growing need for advanced non-destructive examination (NDE) processes that can be reliably and consistently applied. Acquired October, 2015. The QC Group provides a full range of dimensional inspection, scanning, and engineering services through its 3 labs. Acquired November, 2015. US NDI is a leader in providing reliable non-destructive inspection & testing solutions, primarily to the midstream and fabrication industries in the southwestern U.S. Acquired December, 2015. Fox NDE is a rising competitive leader in the non-destructive testing industry offering radiographic testing in the oil, gas, and wind energy industries. Acquired May, 2017. Eagle NDT offers non-destructive testing within the oil, gas, and wind energy industries. Acquired May, 2017. Domson Engineering & Inspection specializes in inspection, certification, and engineering services for the crane, lift, construction, power gen, oil & gas, chemical, and steel fabrication industries. Acquired December, 2017. CraneCare is an all inclusive overhead and mobile crane service company handling inspections, certifications, load testing, maintenance, training and parts sales. Acquired March, 2018. Timco Engineering was one of the first 13 TCB certification bodies. They also offer P-25 and radio frequency testing on behalf of the FCC, Industry Canada, and to European Union standards. Acquired January, 2018. Atlas provides critical information, solutions and equipment to clients in petroleum refining, pipeline, power generation and related industries. Acquired October, 2018. Diversified Inspection / Independent Testing Laboratories provides visual and technology-based, mechanical integrity and NDT methodologies to the lifting equpipment/aerial lift industries. Acquired March, 2018. IBB Technology is a leader in providing calibration services and measuring systems of the highest quality. Acquired November, 2018. Fire Safety and Protection, LLC (FSP) is a high growth fire and life safety business offering a comprehensive set of services across a breadth of customers and geographies. Secur Fire Protection is known as a local leader in the fire and life safety industry throughout the greater Ottawa market for its high level of customer service and technical expertise. Acquired November, 2018. L. Pugh & Associates, Inc. - The Fire Protection Company provides consulting, design, installation, and inspections for commercial, institutional, government and residential occupancies. Acquired February, 2019. Professional Fire & Security, Inc. is an electrical contracting company, specializing in design, installation and ongoing maintenance of fire and security systems. Acquired February, 2019. United Medical Imaging, LLC (UMI) is an emerging, high growth medical imaging business, seeking to build a national, multi-modal platform by delivering high quality services to our patients.